That special woman who would do absolutely anything for you deserves a day to be celebrated. Join us on Sunday, May 12 at one of your favorite Chicago Lettuce spots for Mother’s Day whether it’s for brunch, lunch or dinner. We’ll make sure Mom is treated extra special. Click here to see our Mother’s Day specials in Metro D.C. Area. Click here to see our Mother’s Day specials in Las Vegas. Click here to see our Mother’s Day specials in Los Angeles. Click here to see our Mother’s Day specials in Twin Cities. 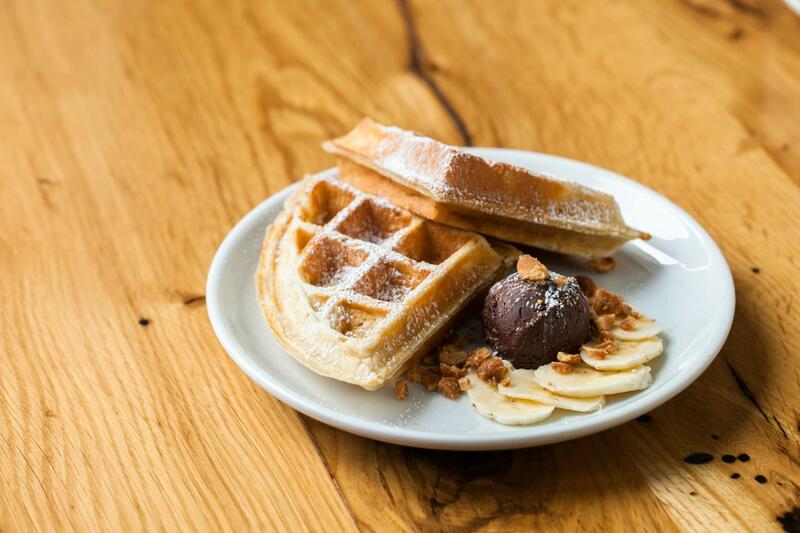 Treat mom to brunch at Beatrix this Mother’s Day! Enjoy the special of the day, the Breakfast Overboard featuring Boar’s Head prosciutto, brown sugar bacon, poached eggs, artisanal whole grain toast, whipped ricotta and avocado. 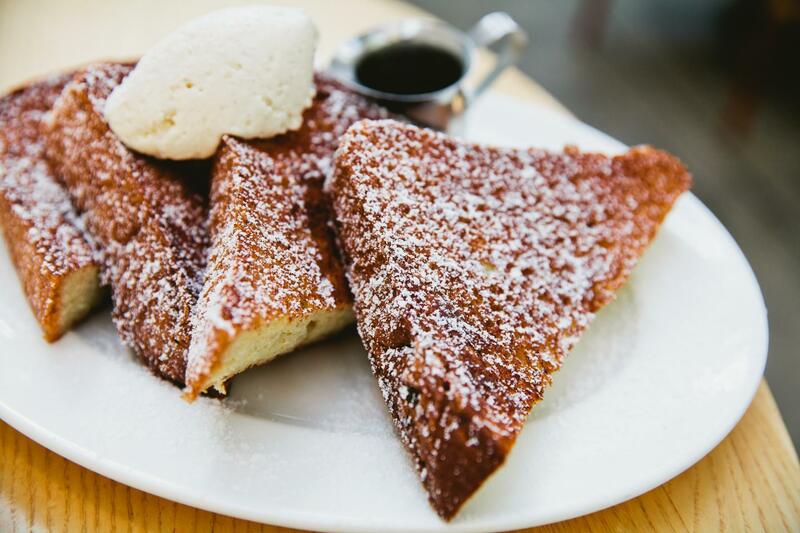 Signature and new brunch dishes will also be available, including the Light & Fluffy Lemon Pancakes, Chia Cereal Bowl, Quinoa Cakes w/ Poached Eggs, and more. To show our moms how much we care this year, we’re treating all moms to a complimentary sweet from the pastry case! Click here to make a reservation at the Beatrix location of your choice. Spice things up this Mother’s Day at Big Bowl! They will be serving their Dinner Menu in addition to daily specials. Booth One is offering a $40 per person, plus tax (gratuity not included) prix fixe brunch menu for Mother’s Day. They are bringing back staples like the Ham & Hashbrown Benedict. For dinner enjoy a $55 per person, plus tax (gratuity not included) dinner prix fixe menu with the Duck Confit and Wild Mushroom & Aged Parmesan Risotto dishes among others. Brunch reservations are available from 10:00 AM – 2:00 PM, dinner reservations available from 4:00 PM – 9:00 PM. Celebrate Mom at Bub City Rosemont with brunch and Bloody Marys from 10:00 AM – 2:00 PM as well as live acoustic music! Treat that sweet momma in your life with Southern options like Fried Chicken & Waffles and Beef Brisket Benedict, or tackle any number of Bub’s BBQ Meats. And of course, the build-your-own Bloody Mary Bar will be open. For reservations, visit bub-city.com. Celebrate Mom at Bub City with brunch and Bloody Marys from 10:00 AM – 3:00 PM as well as live acoustic music! Treat that sweet momma in your life with Southern options like Fried Chicken & Waffles and Beef Brisket Benedict, or tackle Bub’s Brunch & 3. And of course, the build-your-own Bloody Mary Bar will be open. For reservations, visit bub-city.com. Cafe Ba-Ba-Reeba! is offering Mother’s Day brunch tapas and a Build-Your-Own-Bloody Mary Bar. Plus, all moms will be sent home with a surprise gift! Brunch reservations available from 9:00 AM – 3:00 PM, dinner reservations available from 3:00 PM – 10:00 PM. Make a reservation at Cafe Ba-Ba-Reeba! Di Pescara will be serving brunch specials in addition to their regular menu on Mother’s Day. 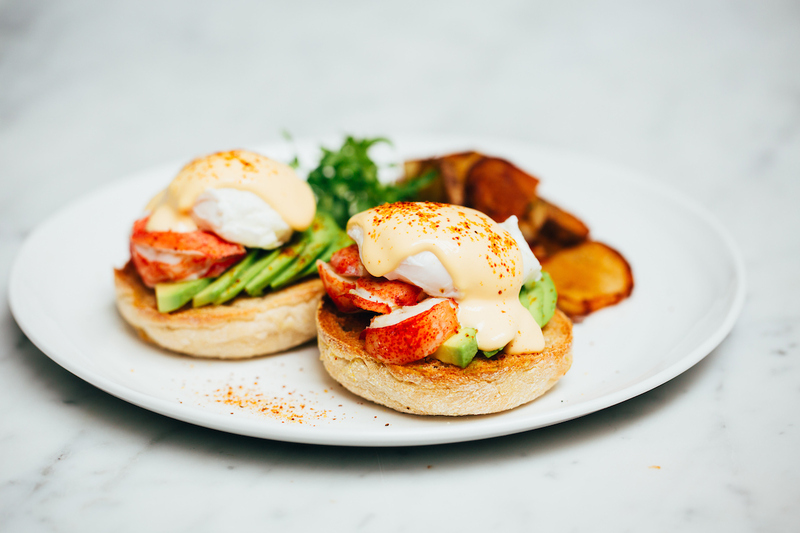 Treat Mom to seafood inspired specialty dishes from Chef Mychael Bonner like Lobster Benedict, specialty pastries and more. Celebrate Mother’s Day with a mezze feast at Ema! Enjoy our special menu for the day, including spreads, main dishes and sides all for $39.95 per person plus tax (gratuity not included). Toast to mom with a glass of Giuliana Prosecco, a Mimosa or Watermelon Agua Fresca, and enjoy mezze and spreads for the table including Classic Hummus, Shrimp Cocktail and Avocado & Sweet Pea Spread. Choose a main like Soft Poached Eggs & Crab or Bread Pudding French Toast and share Crispy Potatoes and Grapefruit Brûlée with the whole family. 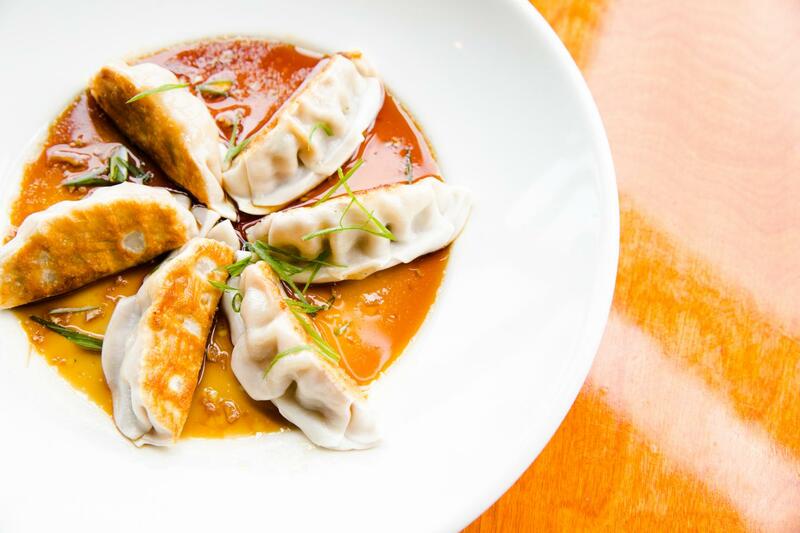 View more details and full menu by visiting the Ema website, or Click here to make a Mother’s Day reservation at Ema. Show your love for Mom this year with an all-you-can-eat brunch buffet at River North favorite, Hub 51! 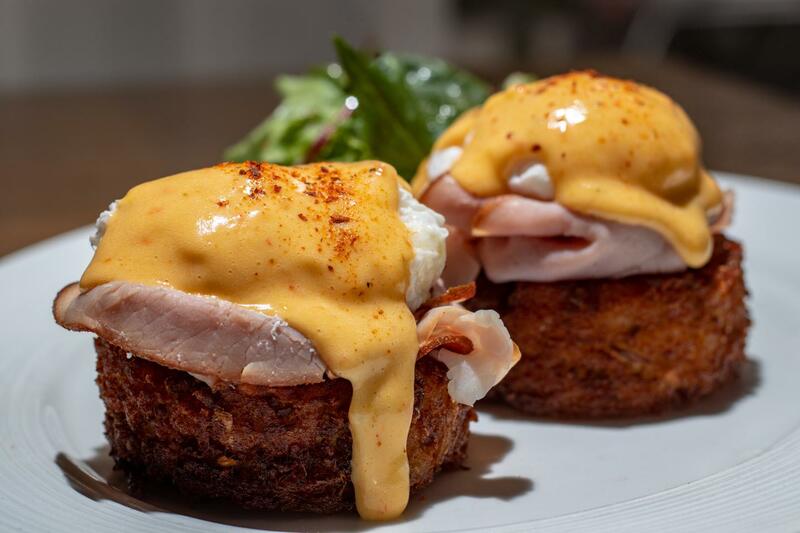 There will be brunch classics (think Brioche French Toast served tableside), more modern takes like Chilaquiles and Short Ribs Benedict, as well as Sushi & Salad Stations to please everyone’s palates. For those looking to liven things up a bit, opt for a trip to the Bloody Mary & Mimosa Bar for just $8 each. Brunch is $36 per person and $15 for children 12 and under (plus tax; gratuity not included). To make an online reservation at Hub 51, click here. 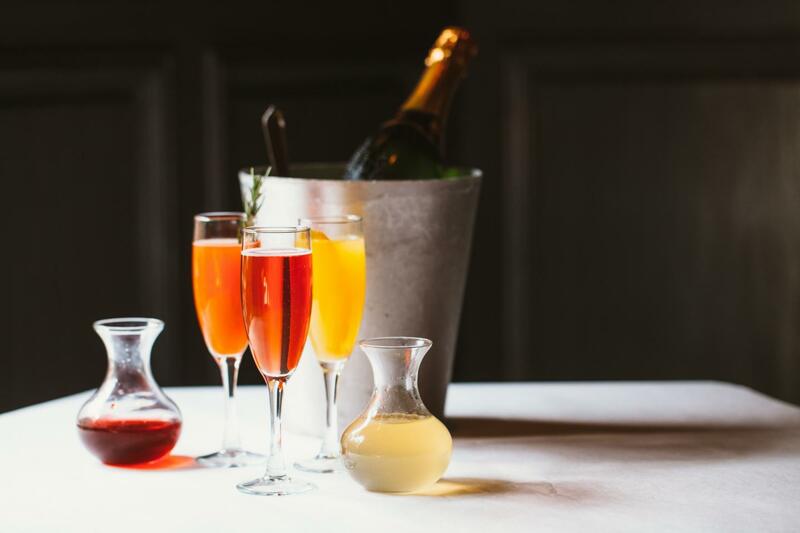 Raise a glass to the most important ladies in your life over a meal at Joe’s Seafood, Prime Steak & Stone Crab on Sunday, May 12. Treat Mom to a selection of fresh seafood, including Alaskan Halibut, Seared Sea Scallops and Florida Stone Crab Claws, or one of our Prime steaks like Bone-in Filet Mignon or Marinated Skirt Steak with Shishito Peppers and Lime Butter. As a thank you for celebrating with us, all moms will go home with a special treat. Join il Porcellino on May 13th to celebrate Mother’s Day featuring a special prix-fixe menu alongside the signature dinner menu. Enjoy classics like Pappardelle alla Porcellino, Gnocchi Bolognese and Baked Burrata Lasagna. Il Porcellino will also be sending each mom home with a special Mother’s Day gift. For reservations, please visit ilporcellinochicago.com. Step aside mom, we’re cooking for Mother’s Day! This holiday, relax and order up some L. Woods favorites for the holiday like the Chopped Salad, BBQ Chicken, Mac and Cheese, Pulled Barbecue Pork, and more. All orders must be placed by Wednesday, May 9 for pick up on either Saturday, May 12 or Sunday, May 13. To place your order, call 847-677-3350 or view L. Woods’ menu here. 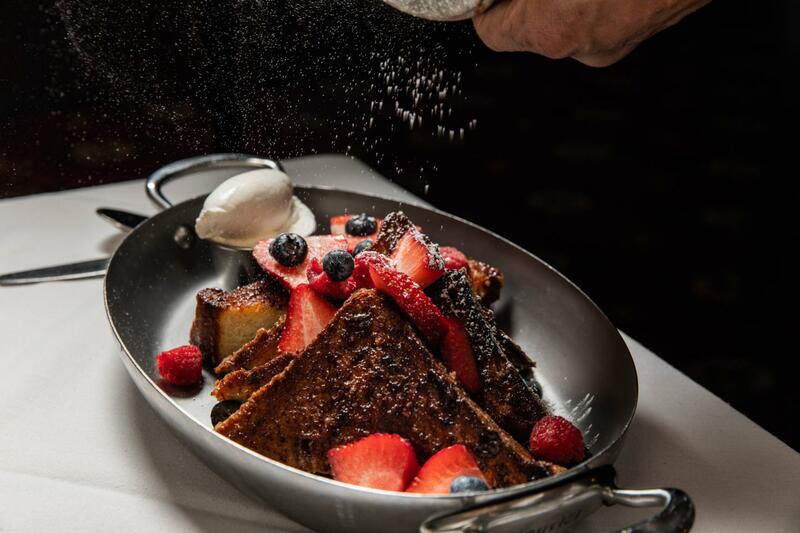 Mon Ami Gabi – Chicago’s Mother’s Day brunch menu will include dishes like Crème Brûlée French Toast to the Omelette Lorraine. Sparkling cocktails and “Not Breakfast” are also available, plus every mom will leave with a surprise springtime gift. Brunch reservations available from 10:00 AM – 2:30 PM, dinner reservations available from 5:00 PM – 9:00 PM. Mon Ami Gabi – Oak Brook’s Mother Day brunch menu will include dishes like Classic Quiche Lorraine to the Egg White Omelette. All moms will leave with a sweet treat and the chance to win a full spa day package as part of a Mother’s Day raffle. Brunch reservations available from 9:00 AM – 3:00 PM, dinner reservations available from 3:00 PM – 9:00 PM. 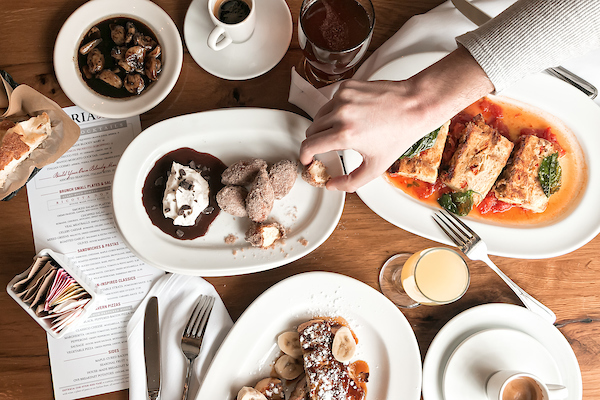 Osteria Via Stato is offering a Mother’s Day Brunch. Enjoy Chef David DiGregorio’s brunch dishes, including a made-to-order omelet station, an antipasti station, a Slagel Farm Carving Station, a sweets station with handmade Ricotta Doughnuts and a main course station that will include dishes like Buttermilk Waffles. The cost is $54.95 per adult plus tax, (gratuity not included), $19.95 per child 10 and under plus tax (gratuity not included) and free for children 5 and under. 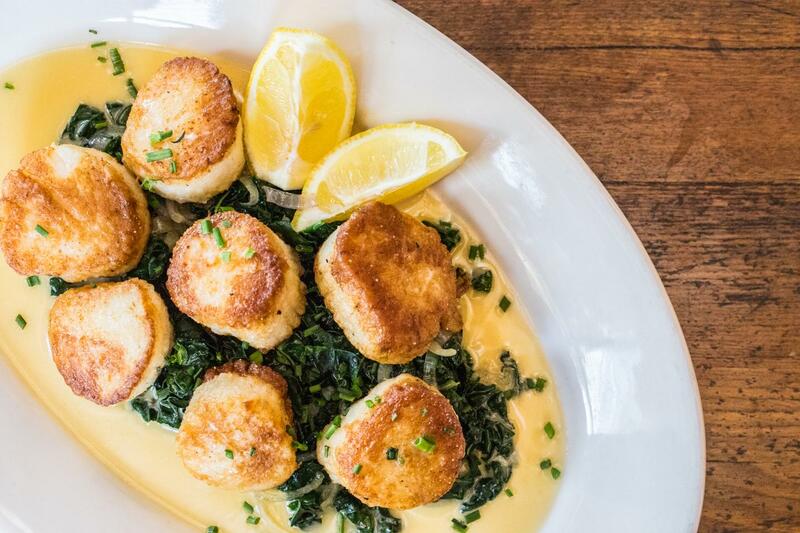 Description of Special: If she’s a “shell” of a great Mom, she deserves a delicious meal at Oyster Bah on Mother’s Day, May 12. Oyster Bah’s brunch a la carte menu will be available from 11:30AM – 3:00PM and the dinner menu will be available 3:00PM – 9:00PM. Make being a mom of little ones even simpler by joining us for happy hour from 3:00PM – 6:00PM where kids eat free! Plus, all Mom’s that dine at Oyster Bah on Mother’s Day will receive a $25 gift certificate to Oyster Bah to be used during a future visit! View Oyster Bah’s Brunch Menu. View Oyster Bah’s Dinner Menu. Make a reservation at Oyster Bah. Description: Petterino’s will be offering Mother’s Day brunch specials in addition to their regular brunch menu. Enjoy specialty dishes like Steak & Eggs, Lobster Frittata, and more. Celebrate Mom with Mimosas and Bloody Mary’s for $5 each. Lincoln Park institution, R.J. Grunts, will be serving up brunch this Mother’s Day from 10:00 AM until 3:00 PM. Enjoy their famous “All-U-Can-Eat Weekend Brunch” with items ranging from Pecan Bread Pudding French Toast and Mini Belgian Waffles to Grunts’ Thick-Cut Bacon, Scrambled Eggs, and Yogurt & Granola for $16.95. As always, the world famous salad bar will be available (and included in the price!). Be sure to come hungry, and don’t forget to top off the meal with special $5 Bloody Marys and Mimosas. To make a reservation, visit rjgruntschicago.com. Join RPM Steak this Mother’s Day to celebrate that wonderful lady in your life. There will be special holiday hours and a four-course springtime menu featuring dishes such as Spring Pea Salad with little gem and ricotta salata, RPM favorites including Coal-Roasted King Crab with lime and coriander and limited-time seasonal offerings such as Roasted Alaskan Halibut with caramelized fennel and orange. RPM Steak will also be sending every mom home with a special edible gift and a $25 gift card for her next visit. The Mother’s Day menu is $85 per person (plus tax; gratuity not included). To view the full menu and to make reservations, please click here. Treat Mom to a buffet with everything she wants and then some! 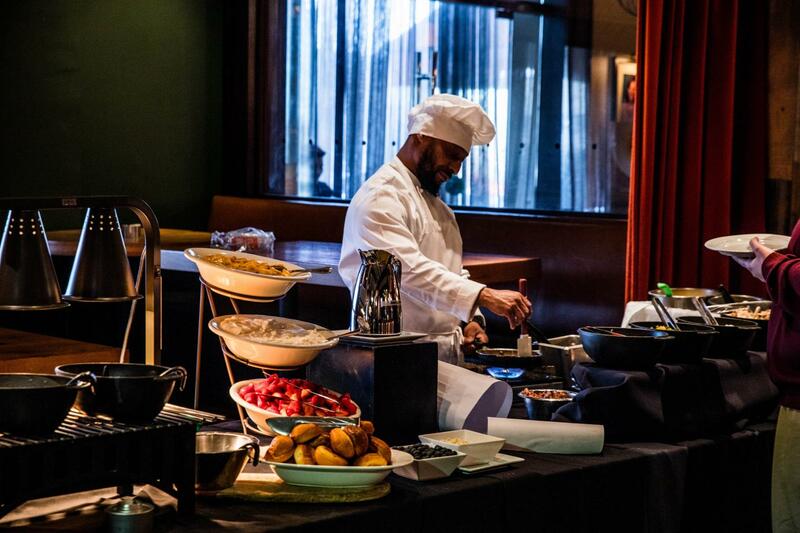 Saranello’s buffet includes a Carving Station, Omelet Station, Italian specialties, Champagne, Mimosas and more. $44.95 plus tax (gratuity not included). children twelve and under half price. 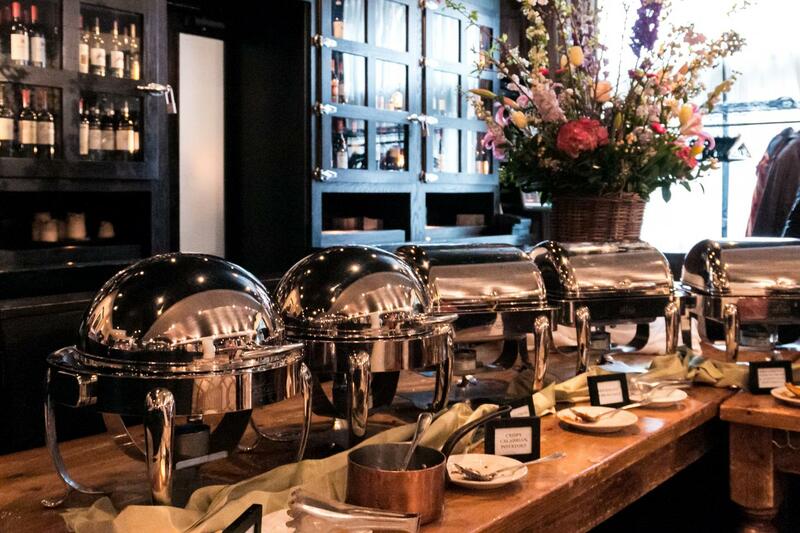 Shaw’s Crab House – Chicago is offering a Mother’s Day Sunday brunch buffet. Brunch is priced at $75 for adults plus tax, (gratuity not included) and $20 for kids 12 and under, plus tax (gratuity not included). The buffet will feature a Grand Hot Buffet with classic breakfast fare, Shaw’s specialties, an Omelet and Waffle Station with 13 available ingredients, and the Surf and Turf Station, including Lobster Bisque, King Crab Legs and Hand-Carved Beef. Also, check out the Cold Seafood Bar with sushi, oysters, shrimp and smoked salmon and Shaw’s Sweet Table with all of Shaw’s favorite desserts in bite-size portions. Sunday Brunch reservations are available from 9:00 AM – 2:00 PM. Would rather treat Mom to dinner? Shaw’s a la carte dinner menu will be available from 4:30 PM – 10:00 PM. Shaw’s Crab House – Schaumburg is offering a Sunday brunch buffet priced at $75 for adults plus tax, (gratuity not included), $15 for kids 7 – 12 years old plus tax, (gratuity not included) and free for kids 6 and under. The buffet will feature a Grand Hot Buffet with classic breakfast fare, Shaw’s specialties, an Omelet and Waffle Station with 13 available ingredients, and the Surf and Turf Station, including Lobster Bisque, King Crab Legs and Hand-Carved Beef. Also, check out the Cold Seafood Bar with sushi, oysters, shrimp, and smoked salmon and Shaw’s Sweet Table with all of Shaw’s favorite desserts in bite-size portions. Plus, all Moms will walk away with a $30 carryout gift card to be used at Shaw’s for a future visit! Sunday Brunch reservations are available from 9:00 AM – 3:00 PM. Would rather treat Mom to dinner? Shaw’s a la carte dinner menu will be available in the Main Dining Room from 5:00 PM – 9:00 PM and in the Oyster Bar from 3:30 PM – 9:00 PM. (Shaw’s Schaumburg will not have happy hour in the Oyster Bar on Mother’s Day, Sunday, May 12). 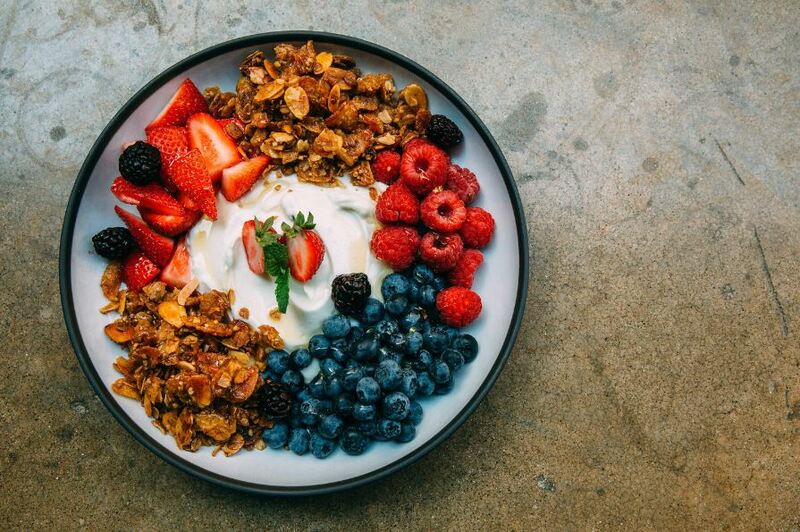 Stella Barra – Chicago is offering a Mother’s Day brunch buffet, including dishes like Roasted Corn & Poblano Egg Enchiladas, Yogurt Parfaits with fresh seasonal berries and granola and more! They also have $5 bloody marys, bellinis and mimosas to toast to Mom, plus a surprise complimentary gift. Brunch reservations available from 9:00 AM – 2:00 PM, dinner reservations available from 2:00 PM – 10:00 PM. Summer House Santa Monica is offering springtime brunch & dinnertime cocktails for Mom to unwind with and a special kids’ menu. 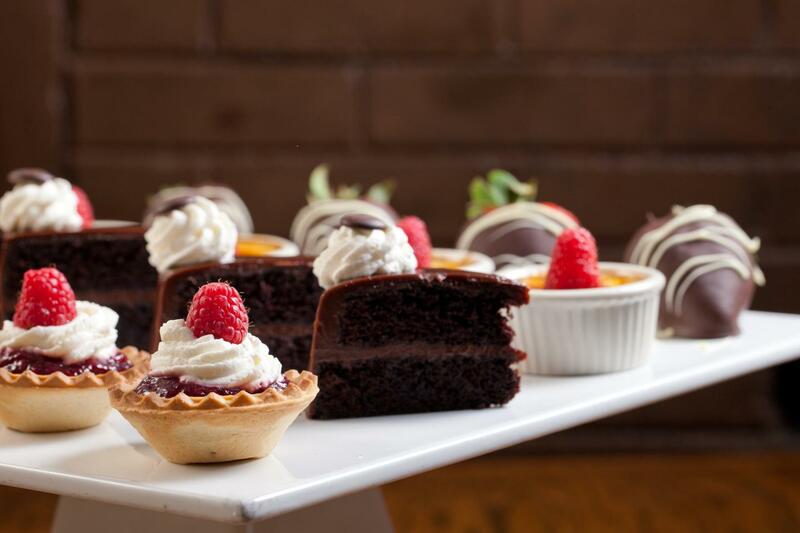 Moms will also receive a special sweet treat at meal’s end! Brunch reservations available from 8:00 AM – 3:00 PM, lunch reservations available from 11:00 AM – 4:00 PM and dinner reservations available from 4:00 PM – 10:00 PM. Wildfire is offering classics for Mother’s Day like their Wildfire Chopped Salad, Macadamia Nut Crusted Halibut, Cedar Planked Salmon, Homemade Key Lime Pie and more. They will be serving their Dinner Menu all day in addition to daily specials.